Are you considering getting a dental implant in Lynnfield? This may be an exciting time in your life! It’s been a long time coming since you’ve lost an important part of your smile. If dental implants are one of the dental restorations that you’re seriously considering, you may have a few questions about their longevity and how to maintain them. Don’t worry, Dr. Schumacher of Schumacher Dental is here to provide you helpful reconstructive, cosmetic, family dental care and advice. How long can I get my dental implants to last? Good news! 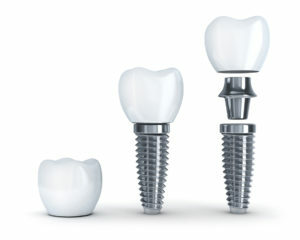 Dental implants are unquestionably the most efficient tooth replacement option available today. Believe it or not, if you care for your dental implants properly they can last a full lifetime! With that being said, it’s critical to remember that maintaining a strong jawbone and durable dental prosthetic takes work on your part. Those two components are what keep your dental implants effective for so many years. The best way to prevent a dental implant from failing is to follow these tips from your implant dentist in Lynnfield. 1. Brush and floss as if they were your real teeth. Many patients enjoy dental implants because they really mimic your natural teeth! Just because your body didn’t naturally create these dental prosthetics, doesn’t mean you should treat them any worse than your natural teeth. That means brushing twice a day is still mandatory. 2. Don’t be afraid to use additional tools. There are several types of cleaning aids that can be used to sterilize your dental implant. If you can’t seem to floss comfortably, clean between your teeth with either interdental brushes (brushes for small or hard to reach areas) or even an oral irrigator (flosser that uses water). The surfaces of your dental implants can be easily scratched, so we prefer that patients invest in maintaining their implants with additional tools. 3. Rinse with mouthwash after brushing and flossing. We encourage our patients to use antimicrobial mouthwashes because they’re proven to kill bacteria. This helps to remove dental debris in the hard to reach areas of your mouth. Mouthwash also decreases gum inflammation when used twice a day alongside your brushing and flossing routine. 4. Eating healthy keeps your teeth healthy—even your implants. Now that you’ll have the ability to enjoy crunchy, raw, nutritious foods again, we urge patients to indulge in a well-balanced diet. To maintain your jaws strength and durability, it is important that you are feeding your body the right nutrients to keep it healthy. You should incorporate foods that are rich in calcium, vitamin D, Vitamin C, and raw crunchy veggies to exercise your jaw with consistent chewing. 5. Visit Schumacher dental for checkups and cleanings. Dental implants can be a life-changing solution, but you could end up with missing teeth again if you neglect them. A part of maintaining good dental health is visiting Dr. Schumacher for comprehensive checkups and professional deep cleanings. Contact us today to schedule your next appointment.